The 2018 15U National Team was honored with two awards, including Team of the Year and Manager Jason Maxwell being named Developmental Coach of the Year. Team USA scored six runs in the first inning and didn't look back en route to its first-ever WBSC U-15 Baseball World Cup title. 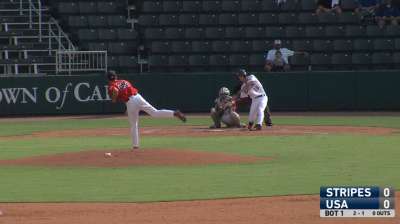 Team USA claimed its first 15U World Cup Championship downing host country Panama 7-1 in front of a sold-out crowd in the final game of the World Baseball Softball Confederation's U-15 Baseball World Cup at Estadio Kenny Serracin in David.